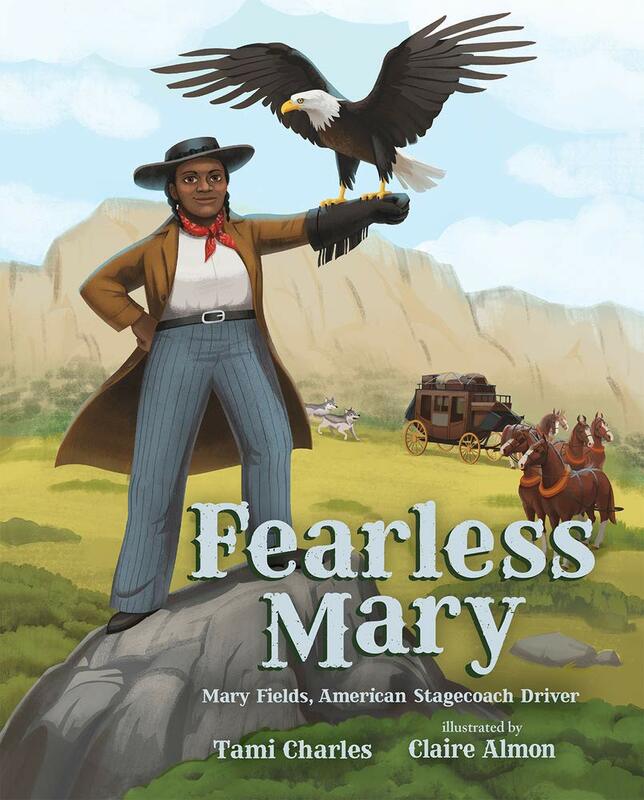 Summary: When Mary Fields heard about a job opening for a stagecoach driver to make deliveries to a school over the mountains, she was determined to get hired. 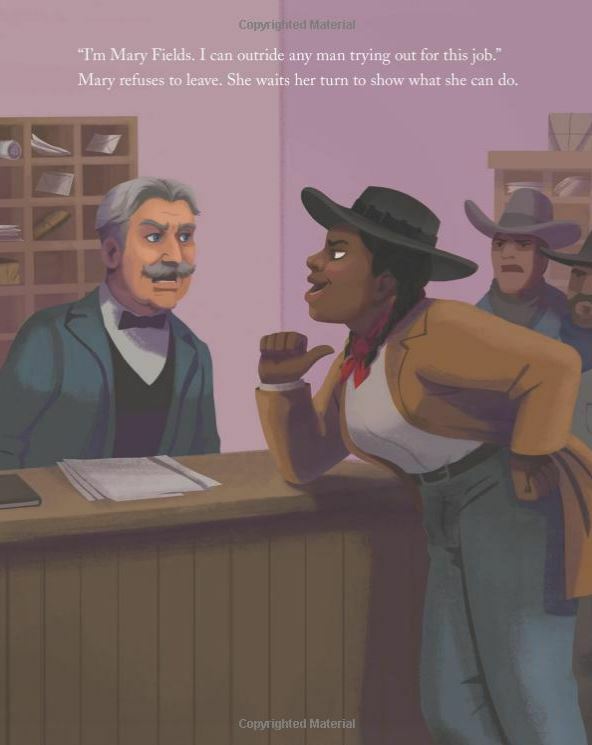 She lined up with forty cowboys to apply for the job, but the manager wasn’t interested in considering a black woman. Mary wouldn’t go away, though, and finally she got a chance what she could do. The manager was so impressed by her skills with horses and driving that he hired her, and she became the first black female stagecoach driver in Cascade, Montana. Traveling with her trained eagle, she fought off thieves and wolves, and never lost a horse or package. Mary held the job for eight years, into her seventies, and paved the way for other women to become mail deliverers. Includes an author’s note with additional information about Mary. 32 pages; grades K-4. Pros: A little-known story of a fearless and determined woman, told in a way that will be understandable and interesting to primary-grade kids. Cons: So little is known about Mary’s life that the author says some of the scenes and dialogue are made up, making this a cross between biography and historical fiction. I loved Tami Charles’ middle grade novel LIKE VANESSA — excited to see her skill in a picture book! Thanks for sharing!